Happy Thanksgiving! As our turkey roasts and the Jayhawks play (we’re a TCU/KU house divided), it’s the perfect time to check out the Black Friday ads. 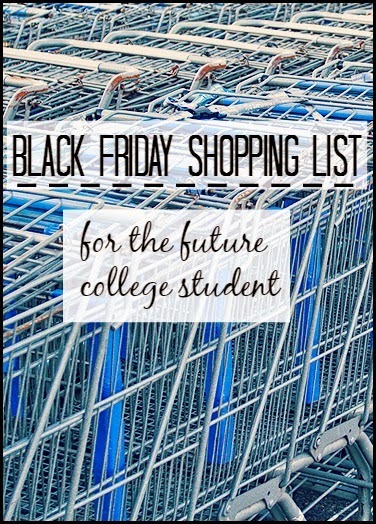 Sifting through the stack I realized I really wish I’d bought some college essentials last year during Black Friday instead of waiting last minute when stores mark up their prices for all the procrastinating college kiddos. If you had asked me this time last year to start buying for college, I would have laughed in your face. I didn’t know how I was decorating my dorm, who my roommate would be heck I didn’t even know what college I’d be attending! Keeping this in mind, I’ll avoid anything thing that has to do with these three, and keep it nice and general. If you’re a high school senior, I highly suggest you add a few of these to your shopping list. Flashdrive. Hopefully, you’ll be working pretty hard in college and you’ll probably have a situation where you’ll have to work on a computer other than your own. Since this is inevitable, stay prepared with a USB flashdrive to always have your papers at your fingertips. Look for this at: Walmart, OfficeMax, Radio Shack, Staples, Sears, Kmart. There’s many more essentials, but this is a great start for anyone getting ready to go to college! I hope everyone has a great Thanksgiving and a successful and stress-free Black Friday! Did you find any other deals I forgot? Comment below! !